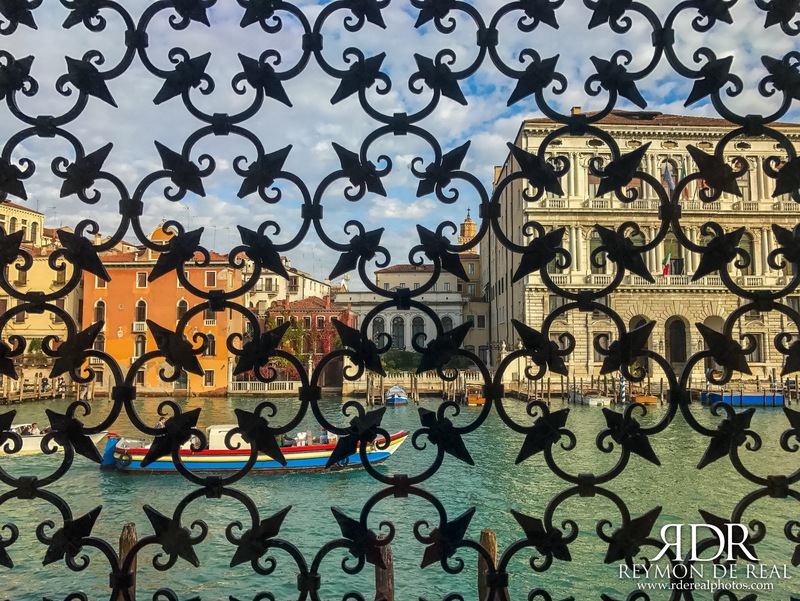 During my trip to Venice a few months ago, I visited the Peggy Guggenheim Collection to view her vast treasury of artwork ranging from Picasso and Metzinger to Dali and Brâncusi. The museum is a famous destination in Venice with its main entrance accessible through the Grand Canal. Peggy bought the Palazzo Venier dei Leoni, which is an 18th-century castle, in 1949 and started showing her art collection in 1951. While exploring the museum, I happened on this window with a great view of the canal but interestingly curtained by a patterned metal grill. I pulled out my iPhone 7 Plus to photograph the outside view incorporating the patterned grill to create a layered effect on my photo. I thought it would be nice to capture Venice and the Grand Canal through Peggy’s window. Thanks for the, like, on my Young Praying Mantis on the Hunt. You’re welcome. T’was cute that you captured it at the right moment just as it was looking at your camera.